Mayoral candidate Ginger Nelson said job creation and economic development are at the top of her platform for the upcoming May 6 election. 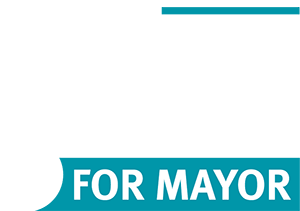 Appointing task forces comprised of local business owners and leaders to advise the City on better ways to stimulate economic growth is one of six critical issues identified by the candidate. Spurring economic development and increasing the City’s revenue stream are catalysts for many priorities listed on Nelson’s platform, which includes improving safety in neighborhoods, streets, communication between the City and residents, customer service and fiscal responsibility — a list that developed from the feedback of community leaders and residents at more than 100 meetings she’s attended in the past two months. Nelson said the City can learn from the experience and commitment of the community’s business owners, and that the task forces will provide input on topics such as attracting higher-paying jobs to Amarillo, working with local colleges to strengthen the area’s workforce and maximizing tourism opportunities. The groups, she said, will work together with organizations that are already in place such as the Amarillo Economic Development Corp., the Chamber of Commerce and the Amarillo Convention & Visitor Council. The task forces will also give feedback on eliminating and reducing regulations and fees, she says, cutting the red tape of bureaucracy and improving efficiency in city services. “Anything we can do to lessen the burdens of time delays, fees, even just getting an idea from start to finish that a small business owner has in our community, and making that process more streamlined for them will be better for our community and will invite more businesses to do business in Amarillo,” Nelson said.